IMPORTANT! : This is a work in progress project. It's possible that at any moment the project will not run or have bugs! There is something strange in the neighbourhood. 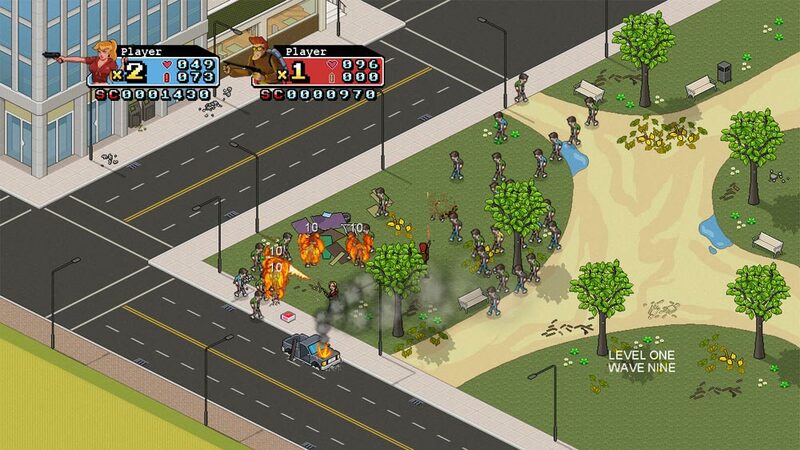 There are a lot of Zombies in our city, the zombie invasion is here! We need to stop them! It will let you sticked on your seat until the end. Its 2D graphics and isometric view make it a different specie in its genre. You will have to face a horde of Zombies that try to get you down with the help of various weapons/power ups and different moving styles. 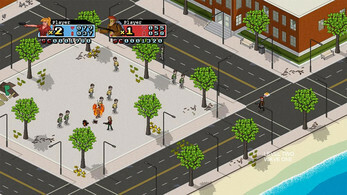 This game started its development by the end of 2010 as a personal project that quickly escalated to a commercial project. It was published for the Xbox360 on November 5th of 2011. The next steps were the windows phone port release and finally the PC for the windows store and Desura on July 2014. After that the game was something like abandoned until now. After 6 years of the first release on Xbox360 we though that would be cool to revive this project and make it open-source. Improve scenes, remove blocking spots. Add more weapons and balance them.